An international research team led by Professor Shunsuke Muto at the Ecotopia Science Institute, Nagoya University, has successfully measured the magnetic strength (magnetic moment) of iron quantitatively with nanometric scale.1 Their paper was published online in Nature Communications on January 23, 2014. Magnets are used in various electrical appliances and bolster our livelihood. As stronger magnets are developed, much smaller devices that require magnets as machine parts can be realized. To this end, it is crucial to understand the properties of materials, such as magnetic strength, and selectively produce stronger components when manufacturing magnets. These properties are typically determined via X-ray radiation and response analysis. However, an analytical method for the measurement of magnetic strength with nanometric scale is desirable. To date, high accuracy measurements using high energy electrons have been so far unsuccessful because of multiple scattering of the incident electrons that collide with the electrons of the atoms in the object being analyzed, leading to a loss in information, and of damage to the object's surface. 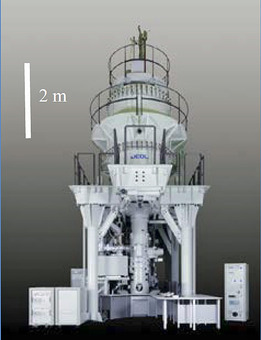 Prof. Muto's international research group has overcome these problems by using an electron magnetic circular dichroism (EMCD) technique and an ultra-high voltage electron microscope (UHV-STEM) at Nagoya University. The EMCD signals are generated when electrons are transmitted through an object and interact with its electrons, and their electronic transition rate associated with their angular momenta is affected. By analyzing the signals of the electrons, the magnetic moment distribution in the object can thus be determined. Multiple spectra of a thin-film iron sample were obtained, and the signals were statistically analyzed using a theoretical model developed at Uppsala University, Sweden. As a result, Prof. Muto succeeded in achieving the element-specific determination of the magnetic strength in an object with accuracy on the nanometer scale. This research is unique to Japan because currently, UHV-STEMs are only manufactured in Japan for technical reasons. The success of the method is expected to not only contribute widely to the measurement of the electronic spin of objects with high spatial resolution but to also improve the performance of various products such as magnetic materials and hard disks. 1. The research is funded by the Ministry of Education, Culture, Sports, Science and Technology, Japan, and the Swedish Foundation for International Cooperation in Research and Higher Education. 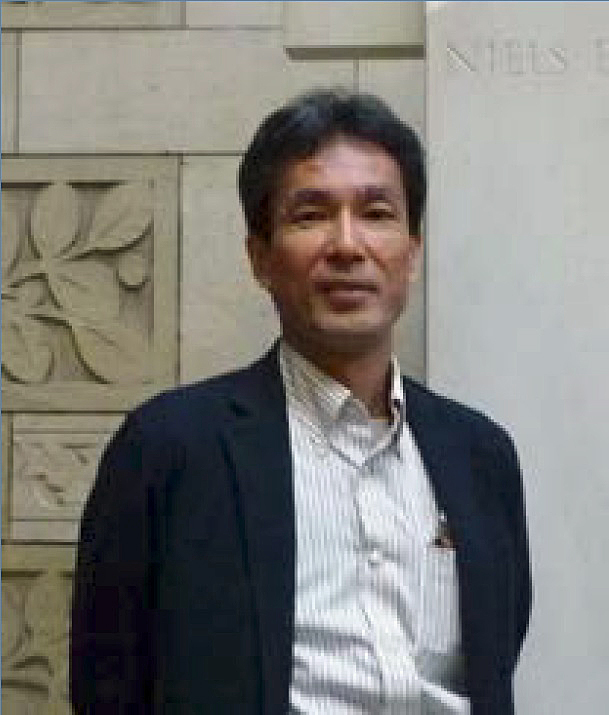 Professor Shunsuke Muto became a scientist in order to study the physical principles that explain the natural world. He has pursued his research on various themes with sincerity and strived to elucidate the nature of materials at the micro/nano level. Currently, he is engaged in the development of new nanomaterials through microscopic measurements at the Ecotopia Science Institute. "This research outcome will open up broader applications for ultra-high voltage electron microscopy and significantly contribute to practical material development. With further improvements, I aim to advance this spin microscopy technique such that the magnetic strength can not only be measured with nanometric resolution but also be color coded according to the area." "I find it very appealing in research that I can think and act for myself and challenge unknown territories. Before taking on such challenges, however, it is important to gain basic knowledge accumulated by predecessors in the field. No pre-college level studies should be considered useless. If you keep challenging yourself, even in your weakest subject areas, you will definitely make progress. Your dreams can come true if you are willing to put in the effort."